Kevin is a native of Baltimore, Maryland. The twenty-nine year-old saxophonist /composer/arranger fell in love with musical expression as a therapeutic outlet as a young child. He credits his parents for influencing him with their philosophical and artistic traits. Kevin played in elementary and middle school bands and soon was mesmerized by jazz. 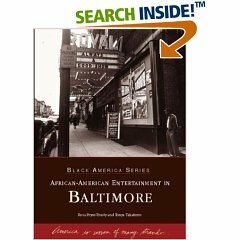 Later, he spent time studying at Morgan State University (MSU) in Baltimore, where he learned from great professors and musicians. Although, his time was brief at MSU, he truly relished the life lessons and music theory he learned. In the mid 90’s, Kevin began performing around Baltimore at jam sessions and with spoken word artist such as Da Minister and the Sunz of Robeson. He quickly established a reputation for playing “free”- and was often not understood. 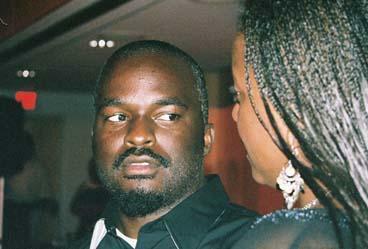 In 1997 the foundation of the musical approach he knew in his soul was valid began to cement. That is when several musicians and friends began improvising, composing, teaching each other and genuinely sharing life’s experiences through music - Jacqui Height, Jamal El-Ra, Brandon Cooper, Rhonda Robinson, and several others. From these sessions several groups where formed and began performing around town - Jacqui Height and Friends, Jazz Addict’s High, and the Kuumba Collective. In 2002, Kevin spent time in New York City absorbing the energy and music. His desire to explore and often challenge what was considered musically or otherwise “acceptable or said to right” became fortified. He came back to Baltimore with renewed vigor and drive. He joined the fusion band Khameleon in which he met vocalist Kim Walker. In 2003 Kevin formed the Kevin Robinson Ensemble and has been blessed to travel and meet tremendous people who embrace the art form of expression. He looks forward to the journey and growth that life and music has in store.Kevin is a native of Baltimore, Maryland. 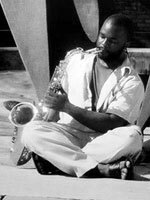 The twenty-nine year-old saxophonist /composer/arranger fell in love with musical expression as a therapeutic outlet as a young child. He credits his parents for influencing him with their philosophical and artistic traits. Kevin played in elementary and middle school bands and soon was mesmerized by jazz. Later, he spent time studying at Morgan State University (MSU) in Baltimore, where he learned from great professors and musicians. Although, his time was brief at MSU, he truly relished the life lessons and music theory he learned. In 2003 Kevin formed the Kevin Robinson Ensemble and has been blessed to travel and meet tremendous people who embrace the art form of expression. He looks forward to the journey and growth that life and music has in store. The new CD is amply titled " TRY IT and if you give Larzine a moment of your time you'll definitely like it. From the first song to the last, Larzine uses her voice to command your attention. Her warm, resonate presentation and boundless energy make her a force to be reckoned with.
" If anyone would ask who I am I would say that I am my father's child. I would clarify that statement by first acknowledging God my creator who through him all things are possible. Secondly,I would pay homage to my mortal father who was truly my first teacher.It was he who taught me to be a jazz lover and then a jazz performer. I look up to my parents for their great influence on me as a young child. Music was a constant variable in my life." Larzine has performed with many heores of today's music and she shared the stage with Stevie Wonder, Freddie Cole and Ben E. King, Howard Hewitt, Gerald Alston, . Larzine has also opened for Charles Earlene, Irene Reid and Pieces of a Dream. Her singing has taken her from Seattle, Washington to New York, Atlanta and even the Sunrise Lounge in Paris, France. Whether stateside or out of the country or simply performing her civic duty by sharing her voice with the Marine at Camp Lejeune, N.C., each performance, she gives her all and all. Larzine performs and responds to every song with an outpouring of enthusiasm and excitement, all her own. It can only be described as a treat to the ears, delight for the eyes and satisfaction to the heart and mind. Legends are entities with fabled beginnings and enduring longevity. Larzine is on her way! Larzine began her journey in the historical followings of musical greats, with warmth, charisma, and soulfulness. Her artistry has been described by critics as "An Experience", seasoned and finely honed in the smoke-filled night clubs and concert halls of Baltimore, Washington, D.C., New York, Atlanta, Seattle, Chattanooga, Louisville, Los Angeles, and wherever there's great singing. Larzine communicates with her audience through song. There is a message in her music along with the uniqueness of her style. She has mastered many qualities of a Jazz / Pop vocalist and created something different in the rhythm of music. "I've never wanted to be just another singer/entertainer, I have something special I try to share with my audiences." That certain something she executed at the start of the millennium in stellar performance at the ternationally renowned Blues Alley Jazz Club located in the heart of Washington,D.C. "I use my music to tell a story of what's happening to me in and around the world of jazz. I'll share with you music that is catchy or tender enough to make you think you've heard it before." Baltimore Jazzine is artist friendly and corporate conscious. Your advertising patronage will support the proliferation of Jazz in the community, Jazz education, Jazz events and provide affordalble adverting and marketing opportunities for independent artist and promoters in the Baltimore, Philadelphia, Washington, DC, Northern Virginia, Delaware areas and worldwide. Legends such as Sonny Til & the Orioles, Illinois Jacquet, Cab Calloway, Lionel Hampton, Sammy Davis Jr., Slappy White, Pearl Bailey, Billie Holiday, Red Fox, Count Basie, Duke Ellington, Dizzy Gillespie, Aretha Franklin, Nat King Cole, Dinah Washington and Ella Fitzgerald. Nightspots and theatres including Royal Theater, The Regent Theater, the Sphinx, and Club Casino; and the DJs and promoters who helped cultivate the city's musical talents. Authors Rosa Pryor-Trusty and Tonya Taliaferro underscore their commitment to preserving the city's past while paying homage to some of Black America's premier performers with this treasured photo history. For more information about the book, go to http://www.arcadiapublishing.com. www.arcadiapublishing.com or toll free sales number at 1-888-313-2665.